Home site for the Stony Brook University Libraries Preservation Department, our mission, our roles, our services offered, etc. 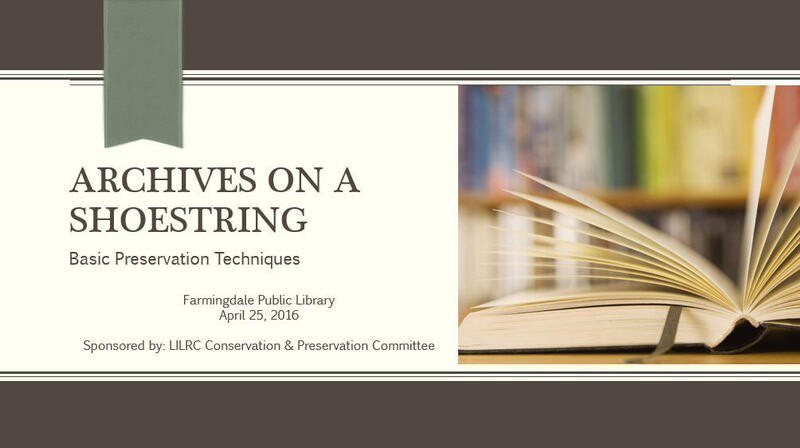 These tutorials are from the "Archives on a Shoestring" workshop series the Preservation Department is presenting for LILRC's Conservation and Preservation Committee. Tutorials are available by technique, and the full presentations are available below. Basic method of re-housing documents during archival processing. Tutorial for enclosing flat documents such as maps, postcards, or photographs into mylar enclosures. Tutorial for four-fold phase boxes. The first section provides step-by-step instructions for creating one with e-flute corrugated board. The second section demonstrates how to use a pre-folded phase box. Examples of custom enclosures are also included. Step-by-step instructions on how to hand make a Bristol phase box from "Archives on a Shoestring III: Making Enclosures" Includes choice of cloth tying tapes or Velcro fasteners. Method for leather consolidation- treatment of red rot. Tutorial for sewing single signature pamphlets into binders. Tutorials for using different erasers and cleaning techniques. Tutorial for unfolding and flattening paper. Tutorial for reinforcing paper tears, and reconnecting torn sections of documents with mending tape. Techniques to remove staples, paper clips, rubber bands, and string. Tutorials concerning how the Stony Brook University Libraries preserves music scores for extended shelf life and use based on content and physical format. 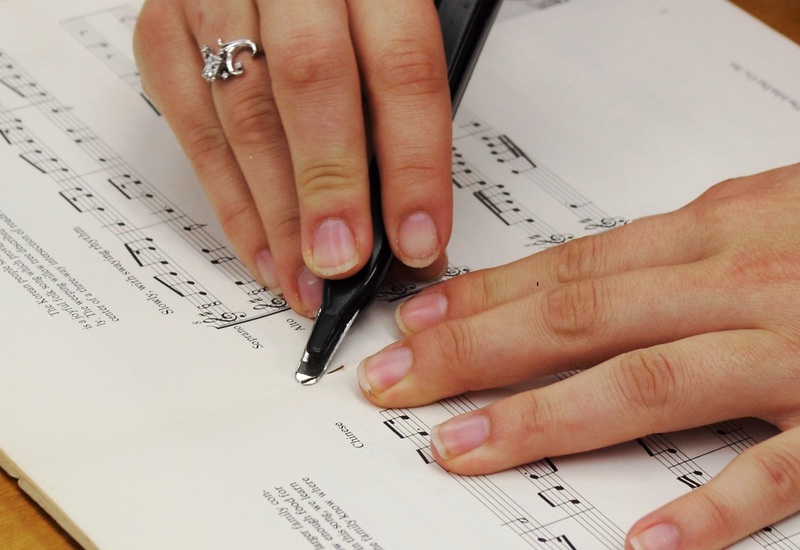 For musical scores consisting of only one signature of stapled or sewn music. For musical scores consisting of two or three separate pieces of music. For musical scores consisting of four or more separate pieces of music, and under 1 inch in overall thickness. For items that cannot be sewn, such as spiral or comb bound works, that are 1 inch or less in thickness. 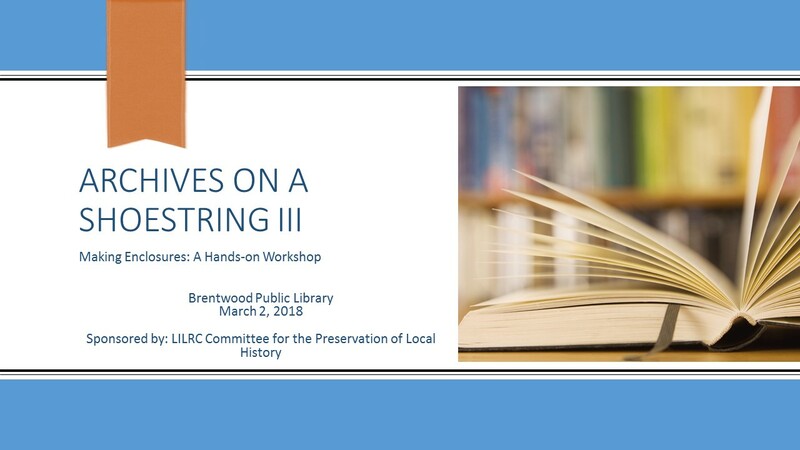 Introductory workshops with general information on preservation principles, tools, and best practice, as well as an introduction to many preservation techniques. 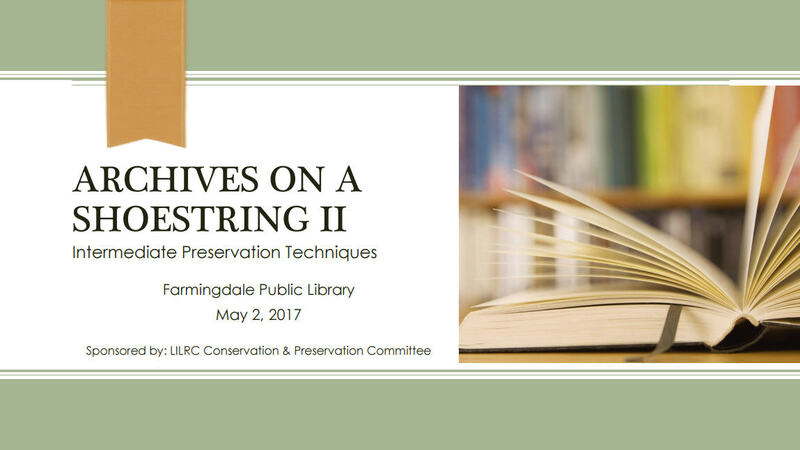 Full presentation from May 2, 2017, at Farmingdale Public Library focusing on the intermediate techniques of music and pamphlet sewing, and envelope enclosures in a hands-on-workshop format. Introductory workshop with general information on preservation principles, tools, and best practices in the planning and construction of phase boxes. A chapbook is a small collection of poetry, generally no more than 40 pages, that often centers on a specific theme. Sold by peddlers in 19th century Europe, these books were illustrated with crude woodcuts, which sometimes bore no relation to the text. A chapbook is typically saddle-stitched (like a pamphlet or magazine) and usually printed on a single sheet of folded paper. Hand-outs from the workshop taught on September 27, 2017, at Stony Brook Southampton Library.